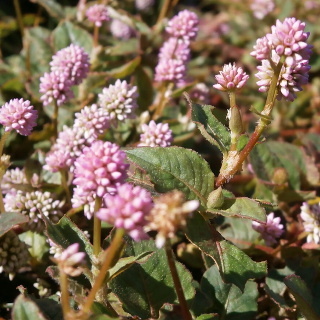 Pink knotweed blooms ball-shaped pink flowers. The stems grows on the ground. It is called Hime-tsuru-soba in Japanese.